Streams of molten lava glow beneath your feet, and the agonized wails of the undead pierce the air, but your courage never falters. With the Demon Slayer at your side, you prepare to exact revenge on the armies of the netherworld. 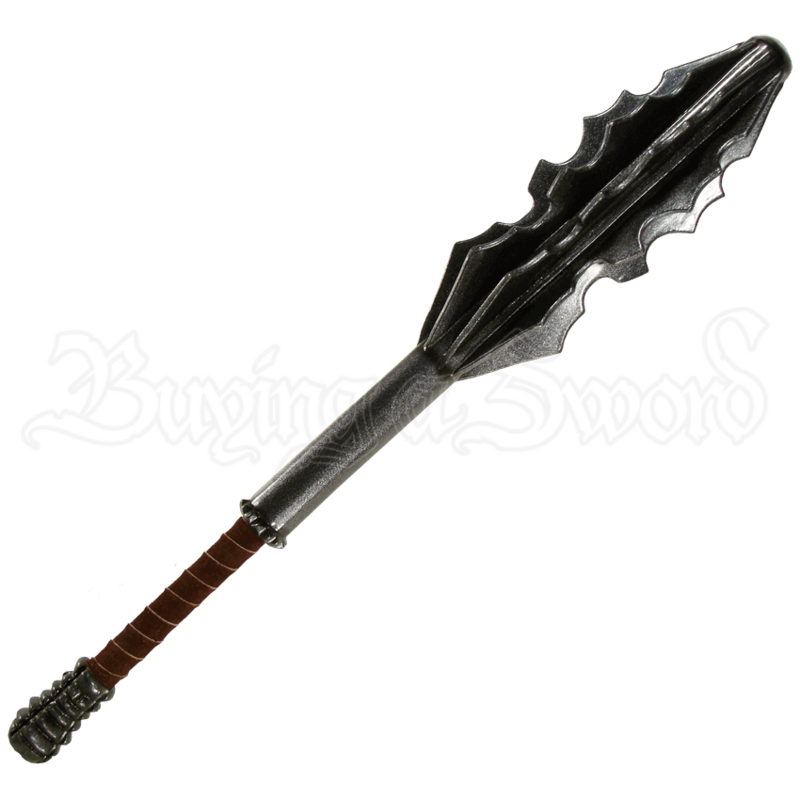 This LARP weapon possesses realistic features that were carefully sculpted and hand-painted in high detail. Eight narrow, jagged flanges form the head of the mace. A matte metal finish covers the head, hilt, and spiral pommel. Wrapping fashioned from Aldehyde-tanned leather reinforces the grip. Our Demon Slayer LARP Mace is made from extremely durable foam that does not shred and sealed with a strong coating of latex. Safety is always a concern in LARP, which is why these have a round flexible fiberglass core with strong Kevlar core tip protection. Handle color/finish may vary. Unfortunately, we are unable to pick specific color combinations for orders. The mace is approximately 32 inches in overall length. This measurement will vary slightly as they are handmade items.